This is looking like the sweet spot of the Threadripper lineup. The monstrous 32-core AMD Ryzen Threadripper 2990WX stomped onto store shelves earlier this month, offering tremendous value if you can put all those threads to work. That’s potentially a big “if” (our Gordon Mah Ung has laid out the reasons why you should or shouldn't buy the Threadripper 2990WX.). 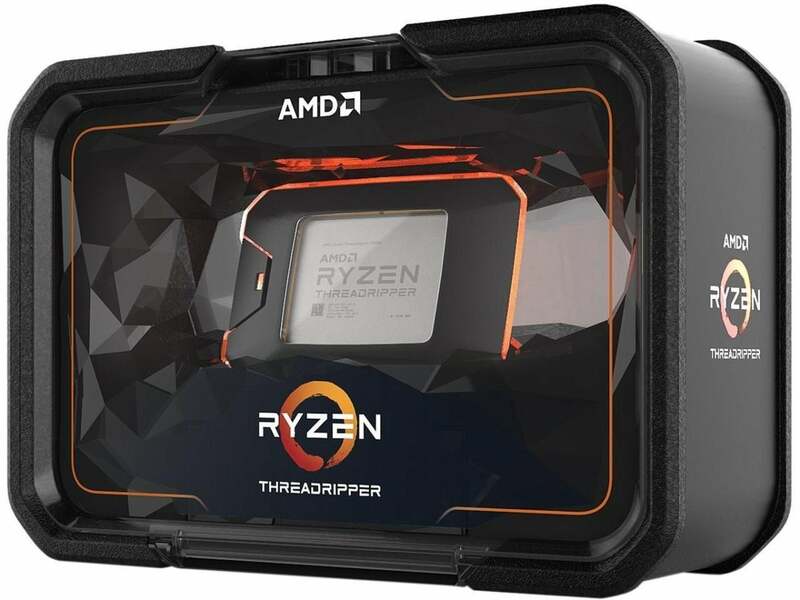 On Friday, a more reasonable, yet still satisfyingly mega-core AMD alternative appeared with the launch of the Threadripper 2950X ($899 on Amazon and NeweggRemove non-product link). 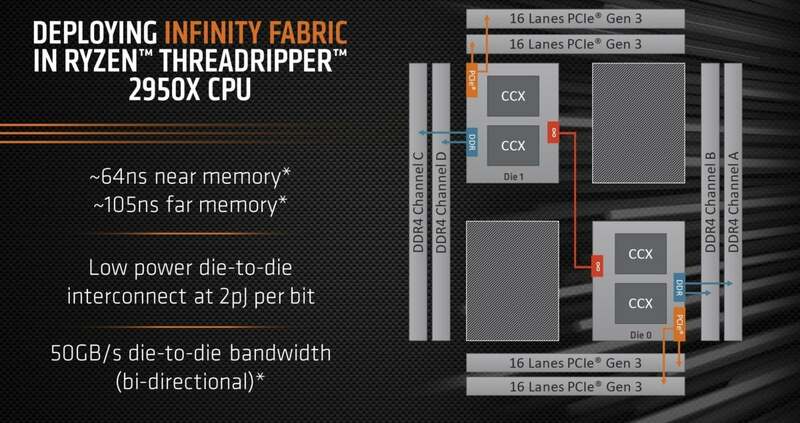 The 16-core, 32-thread chip replaces the first-gen Threadripper flagship, the 1950X, but at starting price $100 lower than its predecessor's. The added value doesn’t stop there, though. 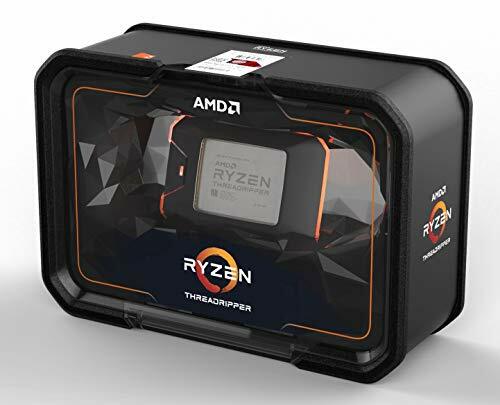 The Threadripper 2950X works in the underlying improvements baked into the 2nd-gen Ryzen architecture—namely the higher clock speeds enabled by the 2nd-gen Precision Boost and Extended Frequency Range (XFR) technologies. The 16-core Ryzen Threadripper 2950X features two active dies, which each have their own memory and PCIe access. While the 1950X started at 3.4GHz and tapped out at 4GHz boost speeds, the Threadripper 2950X ups that to a 3.5GHz base speed and 4.4GHz boost. That’s a solid 10-percent increase at the top end. The 2nd-gen Ryzen chips usually run at significantly higher clocks under the same workloads than their predecessors even if they’re not maxed out. Those improvements should help close the single-thread performance gap between 16-thread Ryzen and Intel’s 16-thread desktop CPU, the Core i9-7960X, which costs significantly more at $1,400 on Newegg. AMD’s X399 motherboard platform provides many more PCIe lanes than Intel’s as well, a whopping 64 in all. The 2950X seems to offer tremendous comparative value. While we haven’t tested AMD’s new chip, we did test the 1950X, 2990WX, and the mainstream 2nd-gen Ryzen processors. With what we know based on those reviews, the Threadripper 2950X should provide a noticeable performance uplift compared to its predecessor. You can grab it at Amazon and NeweggRemove non-product link for $899.